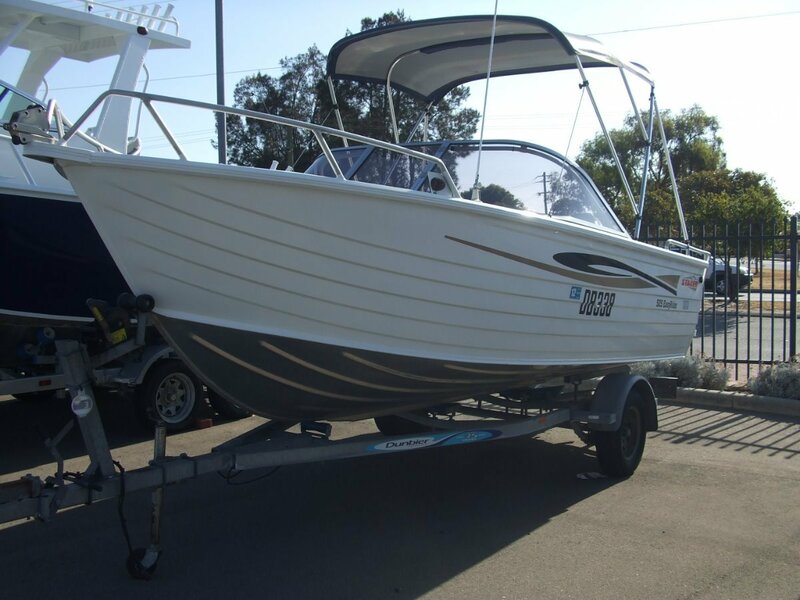 Bow riders have become very popular with families and fishos alike and this 525 Stacer is a ripper powered by a Mercury 75hp four stroke it offers hassle free and economical boating. Included is a bow lounge, rear lounge, Bimini canopy, Marine radio, Nav lights and safety equipment all on a Dunbier trailer. Come check it out today. Now reduced for a quick sale.